I have been hiking all of my life and have been using handheld GPS units for almost 20 years. I am going to review a few different handheld GPS units and explain the differences between them. Like all other products on the market, there are some pretty big differences between the functions of each GPS unit. Each one of those functions has advantages but they also have their disadvantages. So you want to make sure that you have as much info as possible on this purchase you are about to make. After all, you should have this handheld GPs unit for at least the next 5 years. I have used a lot of handheld units over the 20-year span that I have been using GPS. They have become an essential part of my survival gear. But I have actually only owned 4 different GPS units over that time. Those that I regularly use and are an integral part of wherever I go around the world. That's because that the GPS units I bought were well researched and through one of the most reputable companies in the market for handheld GPS units. So I was able to use my units for years because of the quality of the product. TIP #1 Get a GPS Unit that is easy to use and you are comfortable with. I don't like getting the latest and greatest every year because that means I have to relearn the GPS unit everytime I replace it. That becomes very annoying because when I'm out hiking the last thing I want to do is have to stop and figure out how to do something. I want to know exactly what I need to do to mark my location or check my compass so I can keep it moving. So make sure to buy a handheld GPS unit that has a user interface that you understand so it is easy for you to use. And also feels good in your hand so you can use it with only one hand. I find that this is where the biggest differences in handheld GPS units on the market. You are not outdoors to look at your technology. Your technology is only there to support your adventure. That is why you only want to look at your GPS unit very minimally. Tip #2 Make sure to buy the proper size handheld GPS unit for your habits. A lot of times I am pulling my handheld GPS unit out of my pocket while I am either on a sketchy path up a mountain or in 3rd gear on my ATV to make sure I'm on the right path. Most of those times I only have 1 hand available and I am on the move. So I need to know how to work my handheld GPS unit easily with one hand and on the fly. Tip #3 Get the Water Proof Handheld GPS Unit. I can not express to you how important I think this feature is. To me, this is one of the most important features for whatever handheld GPS unit you purchase today. I have been in so many situations that if my GPS unit was not waterproof, I was not gonna get back to my campsite. I am also able to take my handheld unit with me when I go kayaking or any of the other water activities that I do as well. And I do not have to worry about my unit breaking or getting water damage. If you buy a GPS unit that allows you to send a text, you will not have to bring your phone with you when you are out on the water. The Russians have created a very powerful and reliable satellite system made for worldwide navigation. This system not only gives you a backup satellite system to the American GPsatellitete system. Because you can use both of these systems at the same time and let them work together. With the GLONASS system, you can lock onto 24 extra satellites on top of the GPS satellites you already lock on to. And most the time your handheld GPS unit will lock onto the GLONASS satellites 20% faster. So keep this in mind while you are looking for the perfect handheld GPS unit for yourself. This Garmin has a built-in 3-axis tilt-compensated electronic compass, which displays your heading even when you are not moving. I find this feature useful because I like to look at my handheld when I am not moving on my ATV. My old GPS unit would not give me an accurate direction on my compass unless I was moving so I would have to drive very slowly until I could check my heading. That got old after a while. So this is a welcome feature to the Garmin family. This also comes packed with a worldwide base map preloaded with TOPO 100K. This also includes full coverage of the entire United States. This handheld GPS unit comes with the ever popular BirdsEye Satellite Imagery and a 1-year subscription for that software. This handheld GPS unit comes with an 8 GB of onboard memory but you can add as many maps as you would like with the microSD card slot. You are able to share wirelessly with other compatible devices. You can send your waypoints to your family for peace of mind or to your friends so they can enjoy your greatness with you. Don't forget to utilize BaseCamp software that lets you view and arrange your maps, waypoints, routes, and tracks. This is a great little all-around handheld GPS unit. It has all of the basic features you look for in a GPS built into a very tuff and waterproof case. It is very user-friendly with its ease of 1 handed use. This particular GPS unit is not a handheld. It is made to wear on your wrist so you can always look at it without having to deal with pulling my GPS in and out of my pocket all day. But to me, that is where the pros stop. Although it does what a GPS unit is supposed to do, it tells you your location. But it does it in the most basic fashion.It has a black and white screen that shows your location and path. You are able to mark all of your waypoints like all of the other handheld GPS units. with this GPS unit, you will know the basics like sunrise and sunset and you can keep track of your headings with the Foretrex 401 navigators electronic compass and barometric altimeter. I love the ability to wear the GPS unit on my wrist and the price point on this unit is very good. But the love stops there. 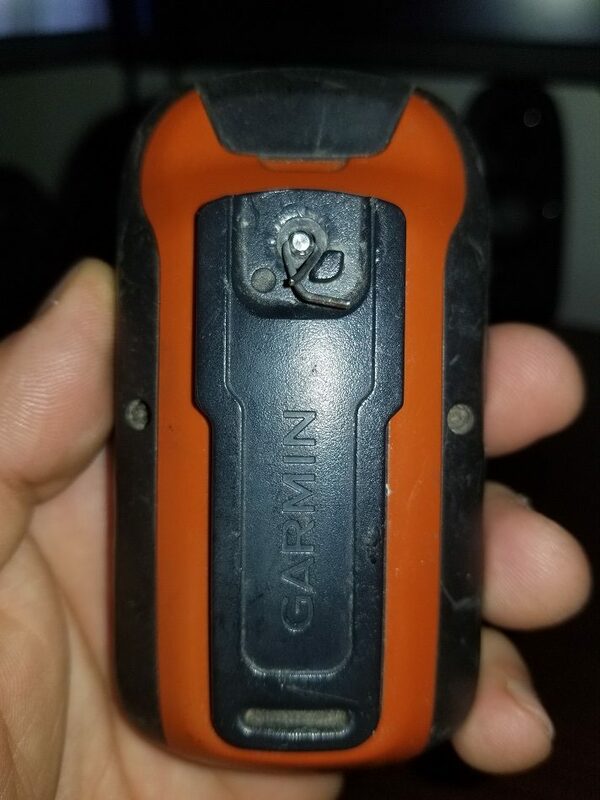 There is nothing wrong with this GPS unit it tracks very well and always has a strong satellite connection. But I don't like the black and white display and it is just a barebones GPS unit. It does not have any of the cool features that the other GPS units we review on this page. Satellite Communicator with Maps and Sensors. Pair with mobile devices using there the free Eathmate app for access to downloadable maps, U.S. NOAA charts, color aerial imagery and more. This handheld GPS unit allows you to take your adventure anywhere in the world. You are literally never out of reach with your inReach handheld GPS unit. This GPS unit is made for the adventurer who still needs to keep some sort of communication with the world. With the proper subscription, you are able to send and receive text messages to and from anybody in the world. No matter where you are! You are even able to share your location with your family and friends if you want. This handheld GPS unit gives you the ability to send a text that you are stopping for the night and also send your GPS location. This way your loved one or the other scout parties are all able to communicate with each other. Communicate everywhere with this Handheld GPS unit. Utilizing the worldwide coverage satellite network, this handheld GPS unit allows you to send a text message to any phone number or email address anywhere in the world.This unit even lets you post to your social media accounts. In case of emergency situation, you can trigger an SOS. Then you can text the nature of your emergency and also receive a confirmation when help is coming. This handheld GPS unit has a very useful feature and that is the weather forecast. That does not seem like a big deal because we all have that app on our phone. But when you are on the mountain or days from the nearest cell tower you don't have that capability. And let me tell you, I love this feature. It is very useful and has saved me some pain more than a few times. Another feature that I like is that this handheld GPS unit comes with unlimited free access to a cloud-based portal to help you plan your adventure and add waypoints and routes. You can make preset messages and update all of your firmware and download all your TOPO maps. 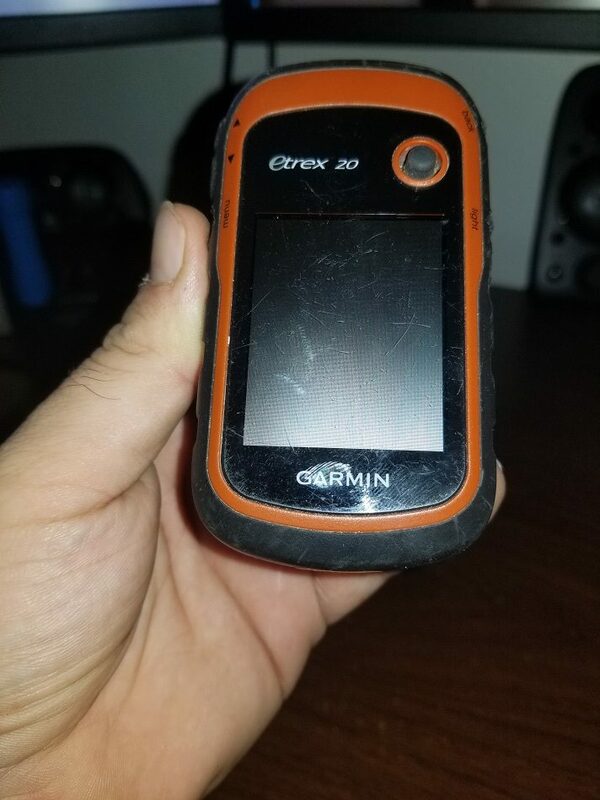 This handheld GPS unit Garmin offers is my personal favorite and the latest addition to my hiking gear. this is the unit I just purchased for myself after my last handheld unit just couldn't take the abuse anymore. If you have room in your budget and are looking for a handheld GPS unit with all of the latest technology. Color Touchscreen GPS/GLONASS Handheld with 3-axis Compass. The Garmin eTrex Touch is a very compact, durable and reliable handheld GPS unit. A unique feature of this GPS unit is the touchscreen. The touchscreen does make it really easy to navigate the user interface. That is a major positive forward because I don't like to stop while I am using my GPS unit. This handheld unit allows me to pull out and use with ease. This handheld GPS unit has all of the basic features like a built-in 3-axis tilt-compensated electronic compass that shows your heading even when you are not moving. This GPS unit tracks the GPS and GLONASS satellites at the same time. The GLONASS satellite system is built by the Russians and allows your GPS unit to lock onto 24 more satellites than with GPS alone. You are also able to lock on faster on average. The eTrex Touch 35 also lets you share your waypoints, and routes wirelessly to another compatible Garmin handheld GPS. The Gamin eTrex 35 is compatible with a lot of different mounts. The mounts are made to use on ATV's and Bicycles Boats and your car. So this handheld GPS is not only for Amazon Jungles of the world. It is also fully capable for the concrete Urban Jungle we live in day-to-day. I really like where the touchscreen technology is going with the handheld GPS units. Unfortunately, it just isn't there yet. 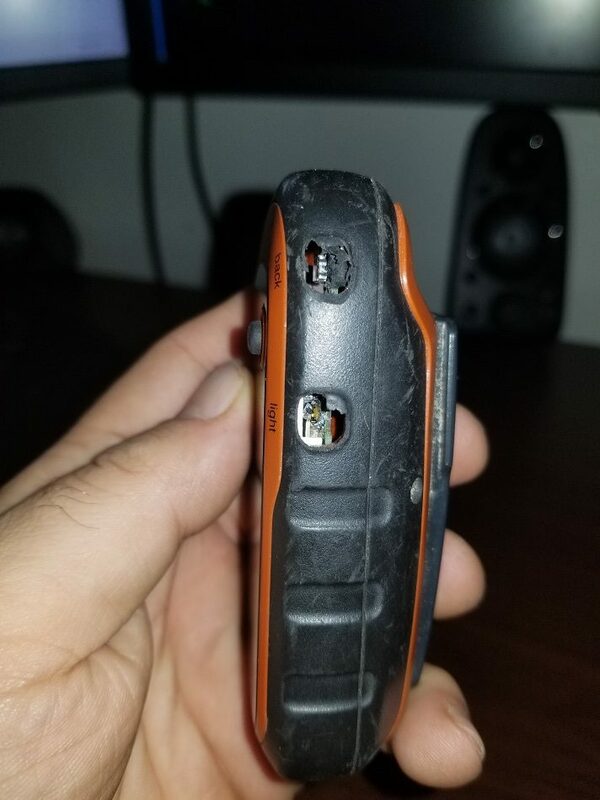 There were many times I pulled my GPS unit out of my pocket only to see it on some random screen using all of my batteries because it was on in my pocket. Also, I could not use it with gloves on. That is a major negative. 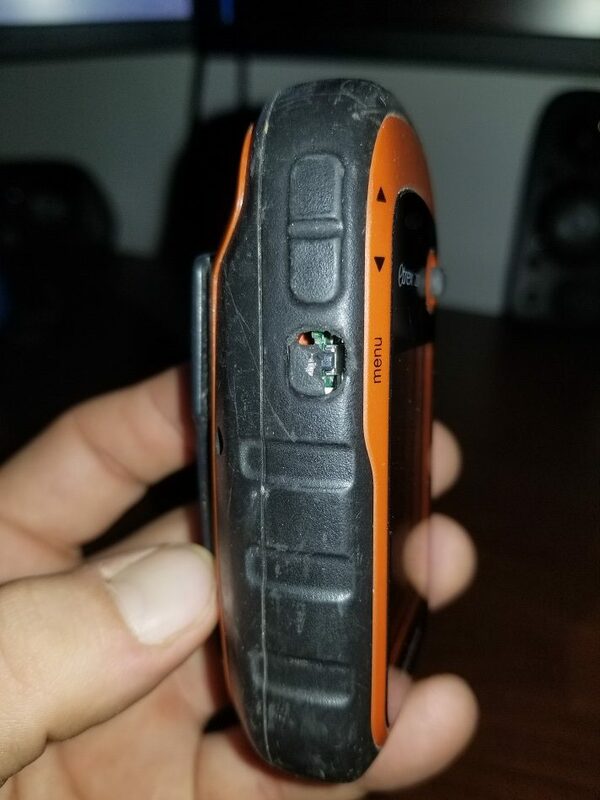 But I believe over the next few versions of the eTrex Touch, I'm confident they will get these issues corrected and this little GPS will be a major contender in the handheld GPS unit market. Able to track up to 20 dogs at a single time. Metrics data that allows you to analyze the dog's patterns of hunting and behaviors. Track all of the hunting data from your dogs to gain a better picture of the hunt. This is the handheld GPS unit for hunting dogs. The Garmin Astro 430 comes with a 5 dog tracking bundle. So you are able to track up to 5 dogs at 1 time. All of your dogs' data from the hunt is stored so you can look it over whenever you want. This data also allows you to see patterns in your dogs' hunting habits. This handheld GPS unit has an expandable microSD card slot so you can add as many maps as you want. You can keep all of your previous hunts data for future reference with that much space. You can track with Hunt Metrics Data a program that helps you monitor your dogs hunting patterns and behaviors. Metrics like your dogs times, distances traveled and overall scores. You can also record how many times you had an "on point" or "treed" experience. You can turn your computer into a base station by loading your laptop with BaseStation software to turn it into a mobile control center for tracking the hunt. 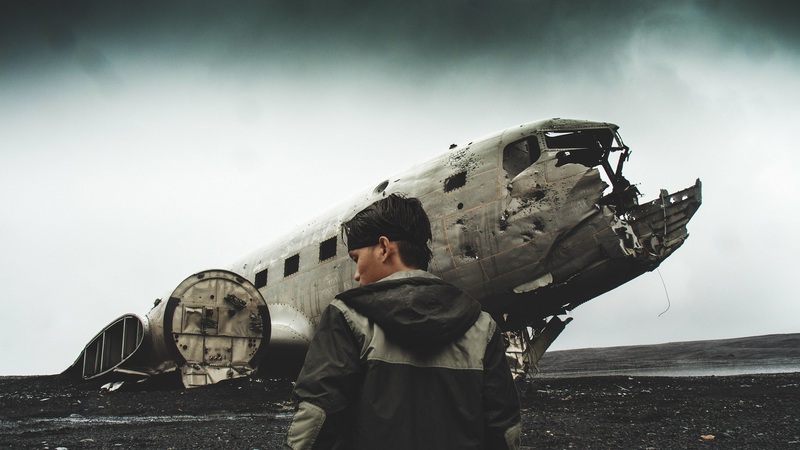 With this information, you can utilize this technology for search and rescue events. Since this handheld GPS unit uses GPS and GLONASS you will get a tracking signal with or not there is cell phone service or data. As far as hunting handheld GPS units go. This is about the best there is on the market. You get the reliability of Garmin with the multiple levels of satellites with the GPS and the GLONASS system. The collars and the handheld unit are all waterproof so you do not have to worry about anything getting water damage. These are just an all around great piece of equipment. If you need a GPS tracking unit for your dogs then this is the one you need! Utilizes Earthmate to pair with a smartphone or tablet. I know, by now you are wondering why this is not a Garmin. As much as I love Garmin, this handheld GPS unit does offer a few unique features. I would not be doing my job if I did not give you as many options as I could. So with that being said, I am going to introduce the DeLorme AG that uses the amazing software InReach as "other" handheld GPS unit companies. But luckily for us, both of reputable companies like DeLorme and Garmin use the best software on the market. That software is InReach Explorer. This handheld GPS unit has all of the major functions that Garmins flagship handheld has. It uses Earthmap and has 2-way messaging to or from anyone, anywhere in the world. You are able to log in to your social media account and log your locations and waypoints. This unit can send waypoints and messages to your family so they don't worry about you. Also, you can completely preplan your trip and upload all of your data. I actually like the user interface a little better than the Garmins. It seems a little more intuitive and the buttons just feel a little better. As much as I am trying to express that there are other GPS unit companies than Garmin, There is not. This handheld GPS unit itself is very good. It is well made, intuitive and feels great. But you are not buying the GPS unit alone. You are buying a subscription. And this is where it all falls apart for me. I do not want the subscription-based model GPS unit. But if you don't mind, then maybe this is a viable option for you. I hope this helps. I hope these reviews helped you in your decision-making process. Just remember to always be safe while you are out in the wilderness.Make sure you have all of the proper gear and it is all up to date and working. The worst thing you can do is be stuck out in an emergency situation with cheap or faulty equipment. In my opinion that is the difference between you telling the story and laughing or somebody else telling the story that ended tragically.